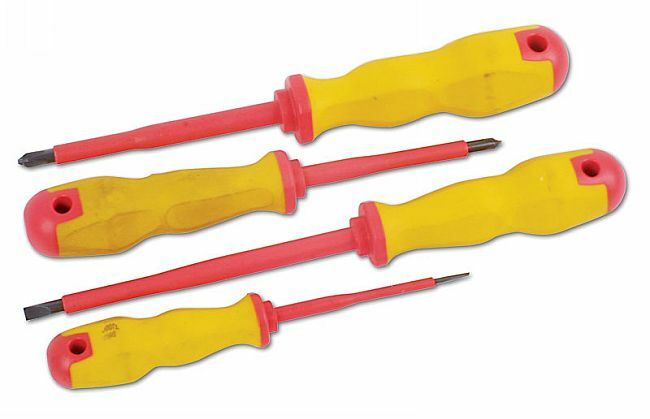 VDE Screwdriver Set 4 pc. For use on live wires up to 1000 AC/1500 DC GS standards. VDE certificates. Flat -	2.4mm x 75mm, 5.5mm x 125mm. PzDrive -	Pz1 x 80mm, Pz2 x 100mm.